If you can't get enough of the cute little Porgs, this tie is for you! 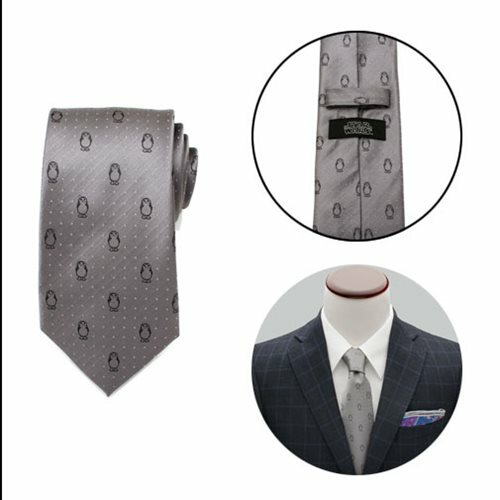 Featuring the adorable Porgs from the film Star Wars: Episode VIII - The Last Jedi, this tie will leave you looking dapper. The Star Wars: The Last Jedi Porg Dot Mens Tie is a great way to look sharp while showing off your fandom. The tie is made with 100% silk and measures approximately 59-inches x 3-inches.